Woah buddy. Fall is finally here & I have no shame in saying that I have been anxiously awaiting its arrival. Let's face it - the best of everything happens in cooler weather. The best fashion (layers), the best beer (e.g. pumpkin ales), the best outdoor activities (everything is better when you're not sweating just by being outside). The leaves are a'changin' & I feel great about it. 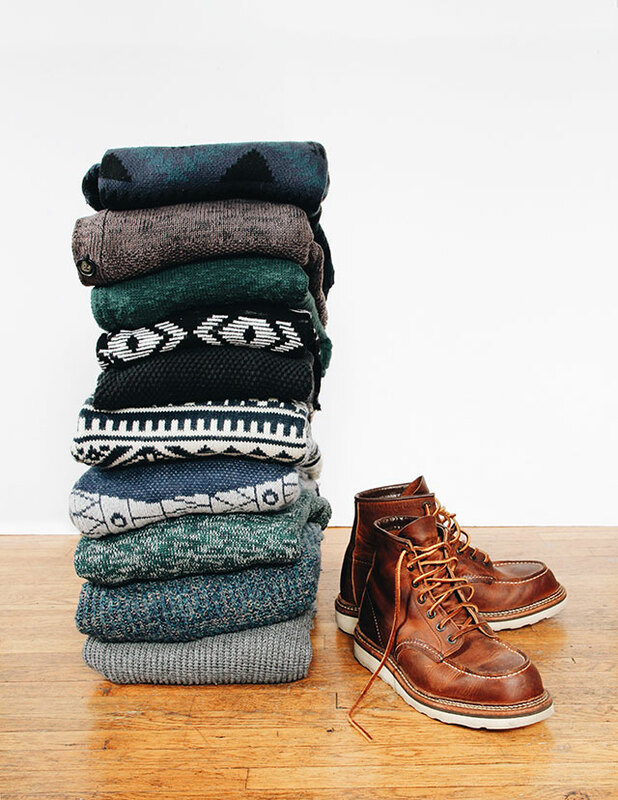 Goodbye tank tops, hello sweaters. Speaking of sweaters, my fall/winter look consists basically of just that: comfy sweater paired with skinny jeans & a nice boot. That's literally what I look like every day after the temperatures dip below 60º. I (gleefully) got all my knitted tops out of storage this past weekend & was a bit blown away by how many I have. They're not all pictured here, mainly because I couldn't get the pile that high without it toppling over. I have no shame in my sweater-collecting game. I like to think of it as being well-prepared in this midwest climate. Halloween is coming up so soon! That's another reason I love fall because Halloween is one of the best holidays ever hands down. Do you have a costume idea yet? Leave a comment letting me know! I'm thinking maybe I'll just wear my whole sweater collection at once & go as Joey from Friends in that one episode. P.S. Part one of this series features buttons on buttons!